There are many different types of headaches and many different methods of treating each type. Slap an ice pack across your forehead and/or sinuses. I use the Head Coolie. Apply a hot compress to the back of your neck. I alternate between using one of those bean-bag style of hot-compresses and an old hot-water bottle I got from my Grandma. What if the problem isn’t your back? Most of us sit on our butts way too much – at work, at home, at restaurants, at movie theaters, etc. And this can mess up a bunch of the muscles surrounding your hips & pelvis. And when those muscles get all tight, bunched up and inflamed, they can mis-align your hips & pelvis which can lead to mis-alignment of your lumbar spine which leads to lower back pain. Luckily for you, there are some pretty simple (and 100% free) ways to help repair those messed up hip/pelvis muscles. I’m not saying that these techniques will fix all your lower back pain…..but they just might. What the heck is a Vila Acupressure Mat and why do I freaking love it? About 5 years ago, a friend of mine came back from Russia with a rather painful present for me. It was a small piece of black fabric with 56 little blue spikey things glued to it. He told me that all the athletes in Russia have been using this thing for years as a sort of acupressure massage device to heal quicker from workouts & injuries. After this explanation, he proceeded to go to work on my sore shoulder. First, I need you to imagine a guy with big freaky strong hands squeezing my very sore shoulder. And then imagine that the guy with the freaky strong hands also has 56 very sharp plastic spikes attached to those hands. Now imagine me screaming like a little girl in the middle of the gym where I ran the personal training department. Luckily for me, after 2-3 minutes of this torture – my shoulder was feeling great and continued to feel great for about 6 or 7 hours. A little too S & M for my liking, but still pretty cool. And for the next 5 years or so, I would periodically break out the Russian Spike Cloth and self-massage whatever body-part required attention. Two months ago, a PR firm representing Vila contacted me about test driving Vila’s acupressure mat. On average, I receive two of those solicitations per week. 90% get deleted after a quick “no thank you” email. Of the 10% that I am interested in testing, about 75% fail the test. That leaves approximately 2.5 products per year that receive the Health Habits seal of approval and receive . But considering that the Vila looked a heck of a lot like my Russian Spike Cloth, I was eager to try it out. I love how when I pulled a back muscle deadlifting far too much weight, it was a bazillion times more effective as NSAIDs and muscle relaxants. And it’s not just me that loves this thing. There is actual scientific research backing up the effectiveness of this thing. I probably would have never used the original Russian Spike Cloth or my new Vila acupressure mat if it hadn’t been for the personal recommendation of my friend. I don’t care how much science there was behind this 21st century plastic bed of nails. But, I did have a personal recommendation…and so do you. So, if you’re accumulating the usual aches & pains that come along with getting older, I urge you to seriously consider buying one of these things. Normally it costs $40 via the online store, but because I kept bugging the PR company, you can save 25% by using the discount code HEALTHY. So there you go, I saved you ten bucks. According to Dr. Peggy Mason (chair of Neurobiology – U of Chicago), eating is a natural form of pain relief. During the course of her research, Dr. Mason found that rats will not react to moderate amounts of pain while they are eating or even if they are being given a squirt of water directly into its mouth. Similar to the effect of morphine, eating or drinking causes a part of your brain (the medullary raphe) to automatically and unconsciously block pain sensations. And while this may be a useful tool for animals in the wild who are faced with food shortages, it is less helpful for humans have 24-7 access to inexpensive, calorie dense food. And, to make things worse, not only can your medullary raphe ease your pain, it also inhibits your ability to STOP EATING. And as a result of this double whammy, Dr. Mason concludes that biology trumps will power and that obesity is not as simple as “eat less & move more”. For years and years and years and years, people suffering with fibromyalgia have faced a battle on two fronts. 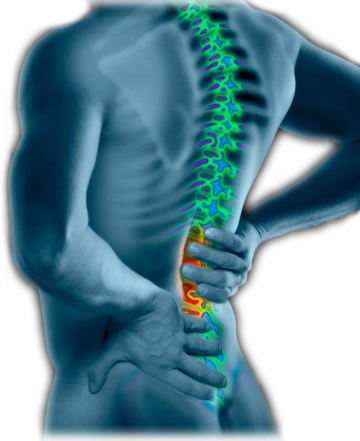 They battle chronic pain and all of the associated physical, mental and emotional problems that come with chronic pain. They fight a public and medical perception that fibromyalgia is not a real medical condition. That the pain is all in their heads. A new study, published in the November issue of the Journal of Nuclear Medicine, may help fibromyalgia patients on both battle fronts. In the study, 20 women diagnosed with fibromyalgia and 10 healthy women as a control group responded to questionnaires to determine levels of pain, disability, anxiety and depression. SPECT was then performed, and positive and negative correlations were determined. The researchers confirmed that patients with the syndrome exhibited brain perfusion abnormalities in comparison to the healthy subjects. Further, these abnormalities were found to be directly correlated with the severity of the disease. 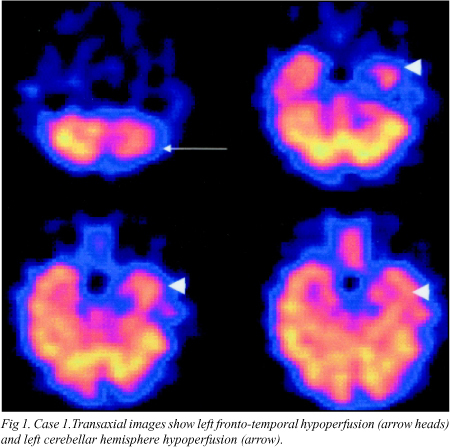 An increase in perfusion (hyperperfusion or excessive blood supply) was found in that region of the brain known to discriminate pain intensity, and a decrease (hypoperfusion or inadequate blood supply) was found within those areas thought to be involved in emotional responses to pain. In the past, some researchers have thought that the pain reported by fibromyalgia patients was the result of depression rather than symptoms of a disorder. This study strongly refutes that belief. This study also gives researchers a diagnostic tool to help predict a fibro patient’s response to a specific treatment and evaluate brain-processing recovery during follow-up. “Fibromyalgia may be related to a global dysfunction of cerebral pain-processing,” Guedj added. It gives legitimacy to their condition. No longer will family doctors, friends, family, employers, etc.. be able to tell fibro sufferers that their pain is not real, that it’s all in their heads. It gives researchers a tool to test treatment modalities. And now that they ‘know’ which areas of the brain are affected and how they are affected, they should be able to chart out a more direct route to a cure…or at least a treatment. A few years ago, I had the pleasure to work with a very nice lady who was trying desperately to reduce the painful effects of fibromyalgia. She had been suffering for years as a result of this painful and debilitating condition. Like most chronic pain conditions, the worst thing may not even be the pain itself. It is the effect that the pain has on the rest of your life. In my client’s case, she had spent the first year of her daughter’s life in bed. Every day, for a year, unable to care for her baby girl. When I met her, she was in much better shape. Her daughter was no longer a baby. She participated in her daughter’s life. She had a challenging career. She was happy. But she was still in constant pain. She came to me after having quite a few bad experiences with different forms of physical and exercise therapy. At the time, I was working at a fitness club just north of Toronto. She was initially assigned to work with a young, female trainer. It didn’t go well. The young trainer had a solid knowledge of how to help people get lean, fit & healthy. Unfortunately, she knew little about fibromyalgia. During their first workout, she treated her client like a normal, PAIN FREE person. Bad move. A week later, our fibromyalgia lady returned and demanded her money back. She had spent days in bed, popping pills and regretting ever coming into our gym. I don’t know how, but the owner of the club managed to calm her down and have her agree to sit down and talk with me. At our first meeting, I had only a general knowledge of fibromyalgia and had never worked with a Fibro client. I did, however, know how to talk, or rather listen to justifiably angry women. Yes, I am married. We discussed her condition. I gave her my opinion and told her that I would spend the next few days researching the subject in more depth and come back to her with a plan. A few days later, we met and talked again. At that second meeting, we discussed my findings, clarified a few more issues and outlined what my plan for her fitness training would include. After about half an hour of chit-chat, we began our workout. It was very slow at the beginning. Very slow. In fact, it took us almost 3 months before I started to notice a ‘real’ change in her body. After a further 3 months, she had training harder than some of my non-Fibro clients. More importantly, her day to day life improved drastically. Less pain. Stronger. Fitter. Healthier. NOTE – For those of you out there who know someone like my former client, please show them the following research paper, along with my story and do what you have to do to get them moving. They will thank you for it. Not right away…right away they’re gonna hate you, but eventually, as they get better, they will thank you. Group Exercise, Education, and Combination Self-management in Women With Fibromyalgia A Randomized Trial Daniel S. Rooks, ScD; Shiva Gautam, PhD; Matthew Romeling, BS; Martha L. Cross, BS; Diana Stratigakis, BA; Brittany Evans, BS; Don L. Goldenberg, MD; Maura D. Iversen, DPT, SD, MPH; Jeffrey N. Katz, MD, MS Arch Intern Med. 2007;167(20):2192-2200. Background Self-management has increasingly been recommended as part of standard care for fibromyalgia, a common, poorly understood condition with limited treatment options. Data that assess popular self-management recommendations are scarce. We evaluated and compared the effectiveness of 4 common self-management treatments on function, symptoms, and self-efficacy in women with fibromyalgia. Methods A total of 207 women with confirmed fibromyalgia were recruited from September 16, 2002, through November 30,2004, and randomly assigned to 16 weeks of (1) aerobic and flexibility exercise (AE); (2) strength training, aerobic, and flexibility exercise (ST); (3) the Fibromyalgia Self-Help Course (FSHC);or (4) a combination of ST and FSHC (ST-FSHC). The primary outcomewas change in physical function from baseline to completion of the intervention. Secondary outcomes included social and emotional function, symptoms, and self-efficacy. Results Improvements in the mean Fibromyalgia Impact Questionnaire score in the 4 groups were –12.7 for the ST-FSHC group,–8.2 for the AE group, –6.6 for the ST group, and–0.3 for the FSHC group. The ST-FSHC group demonstrated greater improvement than the FSHC group (mean difference, –12.4;95% confidence interval [CI], –23.1 to –1.7). TheST-FSHC (mean difference, 13.6; 95% CI, 2.3 to 24.9) and AE(mean difference, 13.1; 95% CI, 1.6 to 25.6) groups had similar improvements in physical function scores on the 36-Item Short-Form Health Survey. Bodily pain scores on the 36-Item Short-Form Health Survey improved in the ST-FSHC (14.8), AE (13.2), andST (5.7) groups. Social function, mental health, fatigue, depression,and self-efficacy also improved. The beneficial effect on physical function of exercise alone and in combination with education persisted at 6 months. Conclusions Progressive walking, simple strength training movements, and stretching activities improve functional status,key symptoms, and self-efficacy in women with fibromyalgia actively being treated with medication. The benefits of exercise are enhanced when combined with targeted self-management education.Our findings suggest that appropriate exercise and patient education be included in the treatment of fibromyalgia.